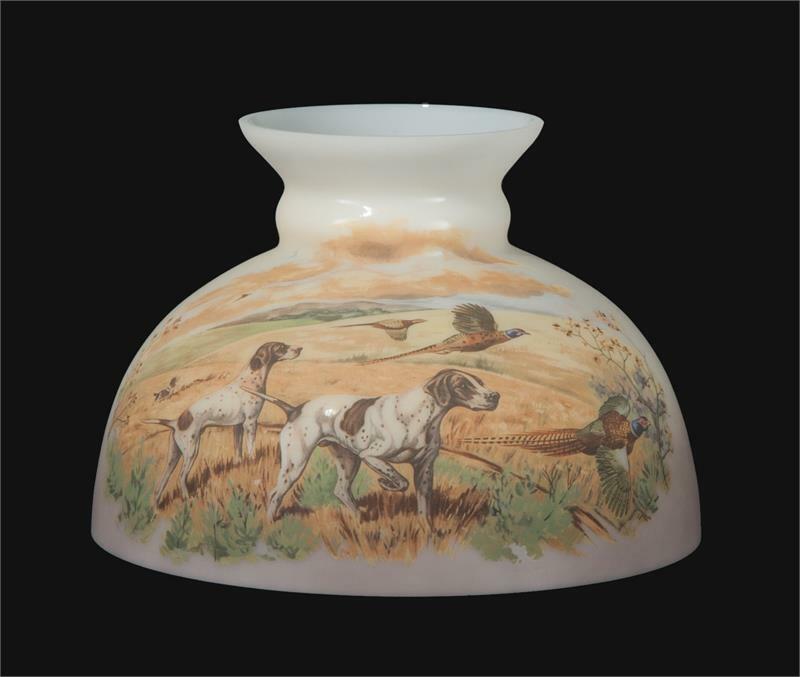 This classically shaped Student Shade features a classic hunting scene, with Pheasants in flight, as well as English Short Haired Pointer bird dogs in rich autumn tones. Cream to brown tint throughout. The hunt scene depicted on this lamp shade suits many rooms well, from dens and living rooms, to cabins, log homes, and rustic decors.